Mental case? Ladies he could be your boyfriend or husband….LMAO #FIDDLESTICK. 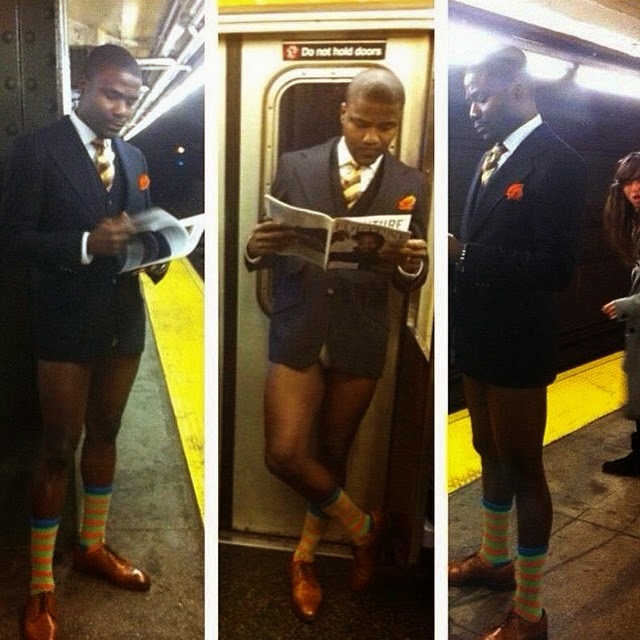 This entry was posted in Entertainment, Fashion trends and tagged EGOSENTRIK Photo Of The Day: Man Train Standing Inside The Train Without Trousers. Wow! Hahaha!!! Maybe some guys chanced him and seized his trousers to deal wt him, then he decided to damn d *f..k and get to his destination. Choi!!!!! !